An open international Masterplan competition for the city of Åndalsnes was the starting point for the idea for the swedish architect Jagnefalt Milton. 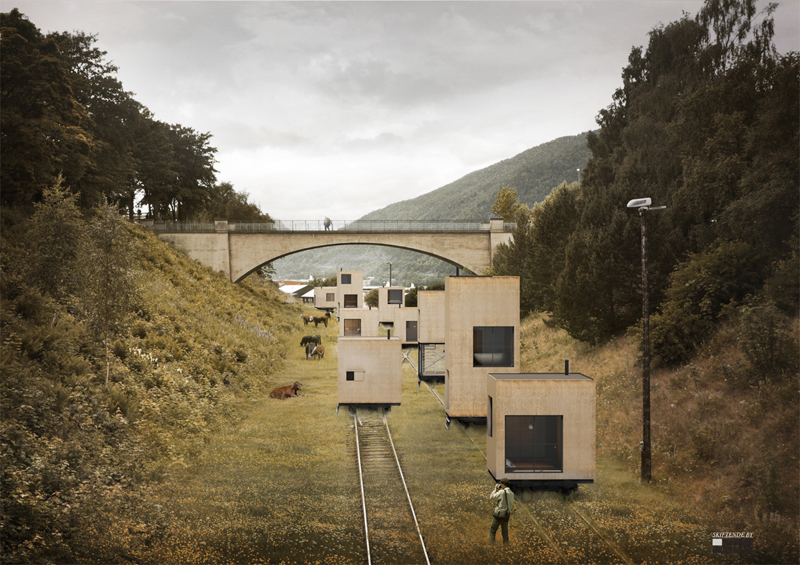 The main focus was on a mobile infrastructure which is carrying mobile houses placed on the old train tracks which are a historical landmark of the city Åndalsnes. The mobile infrastructure can get rolled back and forth which depends on seasons and situations. The concept offers flexibility and allows to create urban space depending on the needs of the users. Nevertheless this competition entry was awarded third prize and might not getting realized.